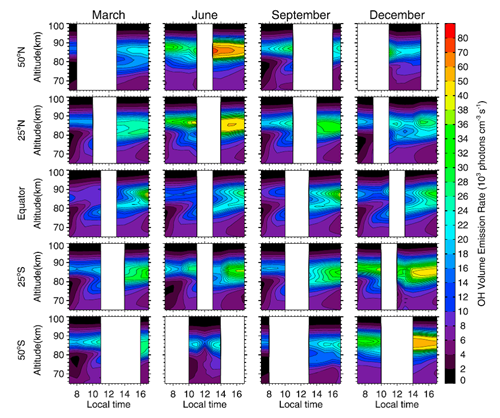 Gao, H., J. Xu, W. Ward, A. K. Smith, and G.-M. Chen (2015), Double-layer structure of OH dayglow in the mesosphere, J. Geophys. Res. Space Physics, 120, 5778–5787, doi:10.1002/2015JA021208.